Meet Gerry McLelland, who is one of our Totalcare engineers working in Scotland. 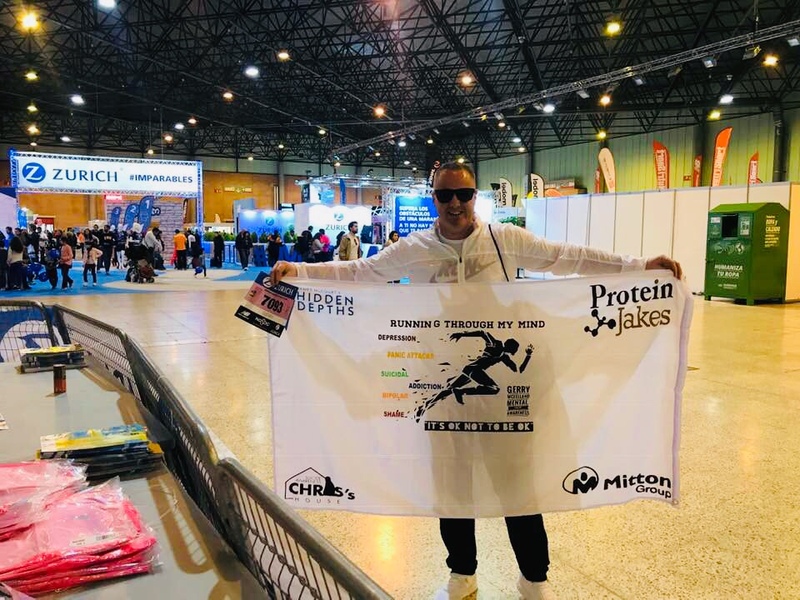 Gerry has set himself a very particular challenge for 2019 – he plans to complete 12 marathons in 12 months, and has already taken the first step by successfully completing the El Cajasiete Gran Canaria Marathon, ranked amongst the great European marathons. Gerry is no stranger to physical challenges, and includes amongst his achievements an ascent of Mount Kilimanjaro. This real life Action Man began running many years ago because of the positive impact on his own mental health, and now works to raise awareness of mental health issues. He has raised funds for organisations including Chris’s House, Scotland’s first 24 hour, non-medical crisis centre, and St Andrew’s Hospice. Gerry, who has worked for Mitton Group now for 2 years, is a great advocate of the benefits of exercise as a therapy, including hill walking, cycling and running. In and amongst, he’ll be fundraising for Mitton Group’s newly adopted charity for this year, Martin House Hospice. He is hoping to organise bag pack days in the Morrisons stores he looks after as part of the Totalcare team. 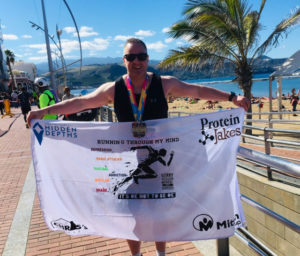 We wish Gerry luck in his endeavours – he’ll be taking part in the Seville marathon in February, Barcelona in March and Milan in April. Somewhere along the way he’ll also be completing a 250 kilometre cycle ride in Palestine!